I love using aromatherapy for immune system health: to fight colds and flu, promote healing, and help balance my subtle energies. Read on to find out which essential oils to use and how to use them. Essential oils (EOs) are highly aromatic, natural, highly concentrated, plant-based liquids. Unlike artificially created perfumes or perfume oils, they have healing properties. Unlike true oils expressed from nuts and seeds, they are usually not actually oily. They have been used for healing for centuries and are commonly prescribed by conventional medical practitioners in Europe. Learn how to use essential oils safely, precautions, how to store them, and the best carrier oils to use. There are a number of very useful EOs that are quite affordable. The following oils are some of the many that are helpful for fighting colds and flu and supporting wellness. If you are purchasing them, make sure that they are true essential oils and not perfume oils (which are artificial). Tea Tree A powerful immune stimulant that can help fight all three categories of infectious organisms (bacteria, fungi, and viruses). Used topically, it can help clear wounds, acne, burns, herpes, athlete's foot, cold sores, and even warts. Used in vapor therapy, it can help with colds, sinusitis and viral infections. A potential skin irritant, so use with caution. Lemon Antiseptic, antibacterial, cleansing, tonic; boosts the immune system and helps relieve throat infections, bronchitis, asthma and flu; aids healing by lifting the spirits. May cause skin irritation in some; also a photosensitizer, so avoid exposure to sunlight if applying to skin. Bergamot Especially good for skin infections, wounds and sores; helps relieve depression and stress; also aids in general convalescence; aids healing by lifting the spirits Highly photosensitizing; avoid exposure to sunlight after use on skin. Eucalyptus Used to fight the effects of colds and flu; cooling and soothing to the respiratory tract; helps relieve coughs and respiratory congestion; helps skin ailments such as burns, blisters, wounds, insect bites, and skin infections Always use in dilution; avoid during pregnancy; avoid if you have high blood pressure or epilepsy. Grapefruit Boosts the immune system; cleansing to the body; aids healing by lifting the mood and relieving stress May cause skin irritation in some; also a photosensitizer and should be avoided prior to exposure to direct sunlight. Peppermint Used to help relieve symptoms of general respiratory disorders, as well as dry coughs, sinus congestion, and bronchitis; cooling and soothing to the respiratory tract; refreshing Can cause irritation to the skin and mucus membranes; avoid during pregnancy; do not use on children under seven. Geranium Immune stimulant; increases white blood cell activity, antiseptic; aids healing by calming the nervous system, lifting the mood, balancing energies, and relaxing Should not be used during pregnancy. If you try only one essential oil for immune system health, make it tea tree. It has a multitude of uses and benefits for healing and immune system health, is affordable and is easy to find. While each of the EOs above can be used alone, you may find that you enjoy blending them as well. You can experiment to find a blend that works best to support your health. Here's one possible recipe for using aromatherapy for an immune system health booster. Blend these oils in a small glass container, and then use it in one of the ways described below. If you feel a cold or flu coming on, use the oils or blends early and often. As with most things, prevention is the best cure! Remember, you should never ingest them (take them orally) in any form. The safest way to use them is simply to put a few drops on a cotton ball and inhale. Not too close though! They can be very powerful. I believe that, like homeopathy, aromatherapy/essential oils work primarily on an energetic level -- especially when they are used as a scent only, rather than absorbed through the skin. EOs can help our subtle energies shift to a state of healthy balance and flow. They also connect us to earth energy (because they come from plants) and help to balance our often overactive minds. Their beautiful scents also bring us joy and help to elevate and brighten our energies. In using aromatherapy for immune system health (or for any purpose), please use common sense about when to treat yourself and when to call your doctor! Essential oils, and this article about them, are not meant to replace the advice and care of your regular medical provider. Learn how to use essential oils safely, precautions, how to store them, and the best carrier oils to use. Enjoy using aromatherapy for your immune system health! Remember always to see your doctor if you have any concerns about your health. Learn about essential oils for relaxation. Learn about EOs for headaches. 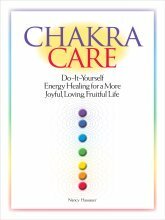 Explore using aromatherapy for chakra clearing and balancing. Return from Aromatherapy for Immune System Health to Immune System main page. Learn more about essential oil safety.